Despite getting constantly ridiculed by brain-dead “fans” and rudely interrupted by losers like Braun Strowman and Bobby Lashley, WWE superstar Elias dutifully straps on a guitar and blesses the wrestling universe with his acoustic, blues-based explorations week after week on Monday Night Raw. This four-song EP is a testament to Elias’ proud workingman ethic and unappreciated musical genius. He openly speaks the truth, calling out the piss-poor, two-bit hovels he’s wrestled in (“The Ballad of Every Town I’ve Ever Been To…”) and putting star-chasers in their place (“Elias’ Words”). The song “Walk With Me” is a rare peek inside his soul as well as a tutorial on emotional songwriting (Drake, take notes). 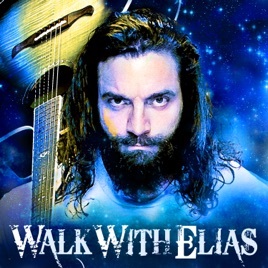 It’s obvious that Elias belongs on wrestling’s Mount Rushmore, but Walk With Me also proves he’s one of music’s all-time greatest alongside Dylan, Springsteen, and Swift (don’t @ us). Now, silence your cell phones, hold your applause, shut your mouths, and listen to Elias.